Are you a Local Business and looking for auditors in Richmond, then look no further. We are Miranda Management and Accountancy Services Ltd. based in the heart of Richmond we serve clients all around Richmond and other surrounding areas. 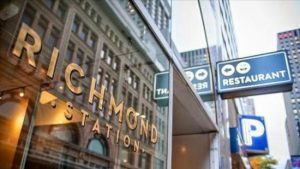 As accountants in Richmond we understand the local spirit and culture that living and serving around Richmond brings about. We currently have a vast Portfolio of clients ranging from Cafes, Restaurants, Grocery Stores, Dry Cleaners, Start ups, Charities to self employed drivers. With Miranda Management and Accountancy Services Ltd you can rest assured that your finances are in expert hands. And we can promise you, we won’t let you down. As our client, your satisfaction is a priority to us and we are passionate about seeing your business grow. You can Call us, Text us, email us or even visit us. If you are short on time or prefer us to come over we can arrange for a No obligation meeting at your office or store. Don’t wait around, give us a call today.